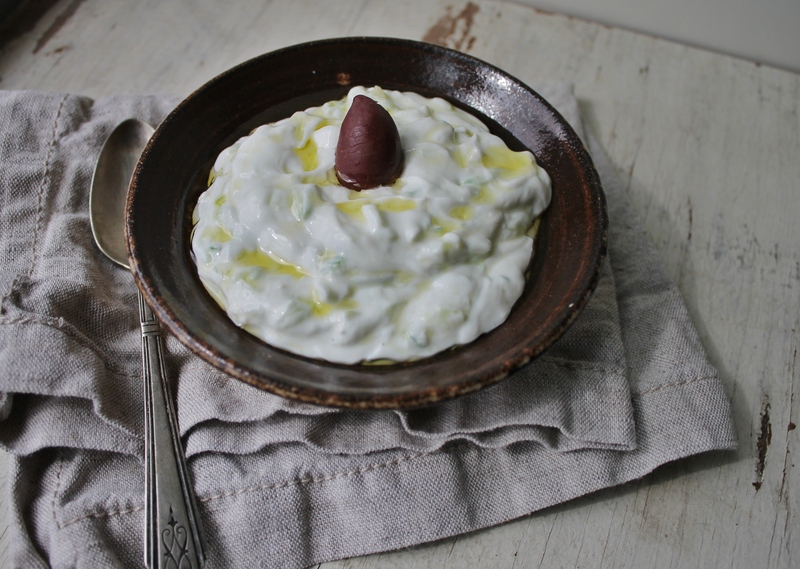 The first time I ever tried to make tzatziki alone was an absolute disaster. Let me set the scene: game day, Saturday of her second year at university, a tired, sunburned, and still somewhat tipsy Elly returns to her apartment. Scavenging the cabinet, she discovers pita chips. It is a fact that leaving your pita chips orphaned without an accompanying dip of sorts is a Greek Sin, so what is she to do? Inspiration strikes. 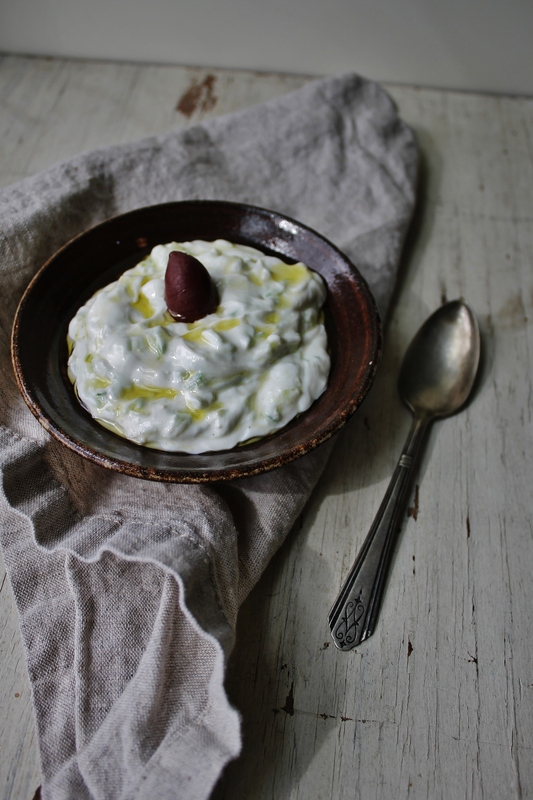 It’s time to make tzatziki. What ensued was a highly emotional and stressful culinary experience. I had scribbled a vague recipe for tzatziki from my mother onto an index card and was trying my best to follow it, but ran into a few issues. And then there was the whole “letting the cucumbers rest” debacle. How do you let them rest in a manner most conducive to salt absorption? How do you know when they’re done resting? Why do cucumbers need to rest in the first place? The f*ck do they have to be stressed out about? Temperamental little shits. Two hours and five frantic FaceTime calls to my mother later (who was horrified at my suggestion to sub in anything parading under the name of “Mediterranean Spice Medley”, by the way), this emotional journey had come to an end, resulting in a very watery and largely uneatable tzatziki. I blame the cucumbers. Maybe they rested too much. It has now been two years since The Incident, and I present you with the actual recipe that’s basically foolproof, so you can enjoy this delicious garlicky dip without stressing. 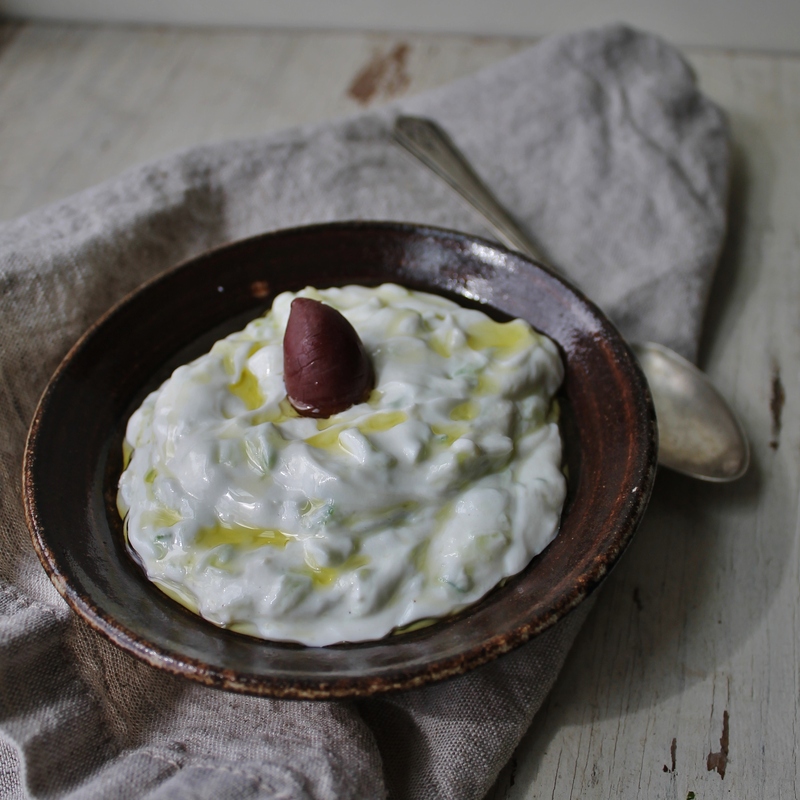 Obviously it’s great with pita or bread of any kind, but a personal fav is using it as a dip for a platter of fries. Try it! Peel, seed, and grate the cucumber. Place in a strainer, sprinkle with a bit of extra salt and let sit for half an hour (this is the infamous “letting the cucumbers rest” stage. You will persevere). After they’re done resting, squeeze the water out of the cucumbers with your hands, and place the grated cucumber in a medium bowl. Finely mince the garlic cloves. Mix the rest of the ingredients into the bowl, then refrigerate for a couple of hours or overnight. Serve with a drizzle of olive oil and olives.